There are certain words which have no place in the fisherman’s lexicon: ‘pampered’ is one of them…well, as a rule. 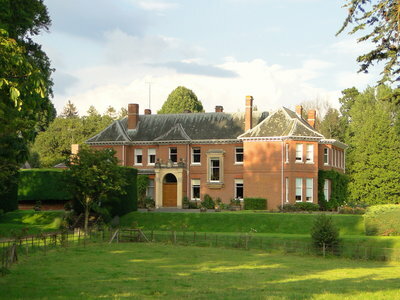 But Letton Court in deepest Herefordshire manages to confer such a description on those anglers who find themselves sat within or exploring the 260-acre estate, for they will find both the beautiful River Wye, and a most attractive oxbow lake sheltered to the south by dense woodland. 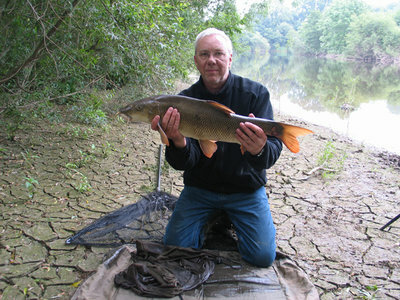 Take your pick – or both, they’re but yards apart, permitting a morning in pursuit of still-water tench and bream and the afternoon in search of fast-water chub and barbel – should you so choose. There are pike and a few carp in the lake too. From green-grass banks – or maybe from the wooded island on the lake – you’ll fish with no hint of our time: no pylons; no road-drone; no on-site tackle shop and definitely no defined ‘swims’… you are part of a ‘Gainsborough’ here at Letton; you are the contented soul steeped in the pastoral loveliness the artist portrayed so often and so well. Comfortably ensconced within this idyll with a rod or two ready for action you might well consider yourself very pampered indeed. You might even witness Letton’s unique ‘swimming sheep’! All this excellence can be had for a £15.00 coarse fishing day-ticket or a £10.00 half day-ticket. Night fishing is permitted. 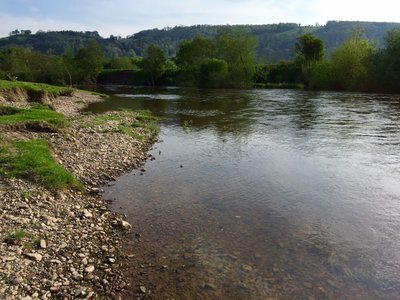 Game angling for salmon, sea-trout, grayling and brown trout on the 1.5 miles of river is limited to 8 rods at £25.00 per day / £15.00 half day and this is done from mainly level, safe banks with plenty of space to cast in. The beautiful oxbow lake at Letton contains tench, bream, perch, pike and a few good carp. All salmon to be returned as per EA rules. Coarse fishing hooks must be barbless and live-baiting is not allowed. Litter-leavers will never get back on Letton. A cracking mid-20s common from the oxbow. Letton Court also offer luxury breaks and conferencing/retreat facilities and accommodation along with select weddings. Letton Court is a historic country mansion with the site dating back to the 1500s and has been lovingly restored in a modern contemporary style yet keeping all of its original features from its ornate ceilings and walls to its oak cantilever staircase. The house sits in 7 acres of beautiful gardens and lawns and boasts an outdoor heated swimming pool and hundreds of acres of parkland and grazing to explore. 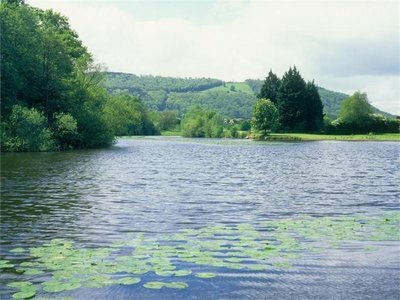 Not to mention fishing on 1.5 miles of left bank River Wye and lake which can be used exclusively in conjunction with a luxury break and can include all manner of activities and treatments for all guests.